Property 4: Small but ideal. Walk to beach. Property 17: Caravan in the orchard with a view. The old bakery cottage located on the waterfront. Property 32: The old bakery cottage located on the waterfront. 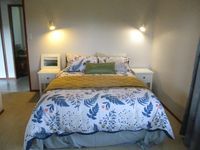 Cable Bay 3 Brm home close to the Beach with views. 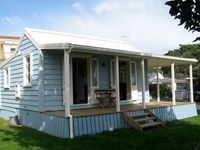 Property 45: Cable Bay 3 Brm home close to the Beach with views. Spacious, spotless and superb. Great value.